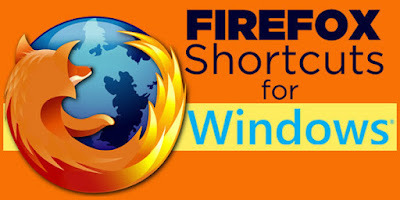 This is a list of keyboard shortcuts in Mozilla Firefox. If you have enabled Emacs-style text editing shortcuts in GNOME, they will also work in Firefox. When an Emacs text editing shortcut conflicts with the default shortcuts (as occurs with CtrlCmd+K), the Emacs shortcut will take preference if focus is inside a textbox (which would include the location bar and search bar). In such cases you should use the alternate keyboard shortcut if one is listed below. Firefox does not provide any method of customizing keyboard shortcuts.